Lavanya Tripathi attended the "Bhale Bhale Magadivoy" success meet wearing a half saree. 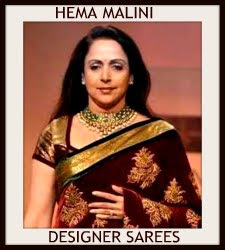 She wore a black lehenga having embellished border and paired it with a white half saree having golden border and black color sleeveless blouse. Shamili was spotted at a recent event wearing a half saree. The cream color lehenga had pink floral prints and silver and gold patch border. 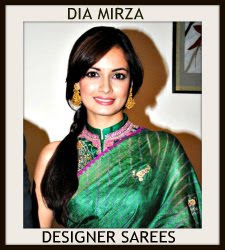 She paired it with a green color net dupatta with floral embroidery and border and an orange color embroidered short sleeves blouse. 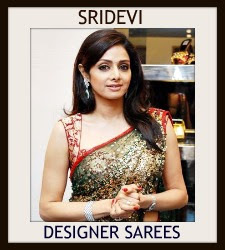 Shilpa Chakaravarthy in dual colour half saree paired with golden colour round necked puff sleeved blouse. Pooja Kumar attended the Gollapudi Srinivas National Awards wearing a pink color half saree with mirror work patch border, paired with pink lehenga and pink color short sleeves blouse. 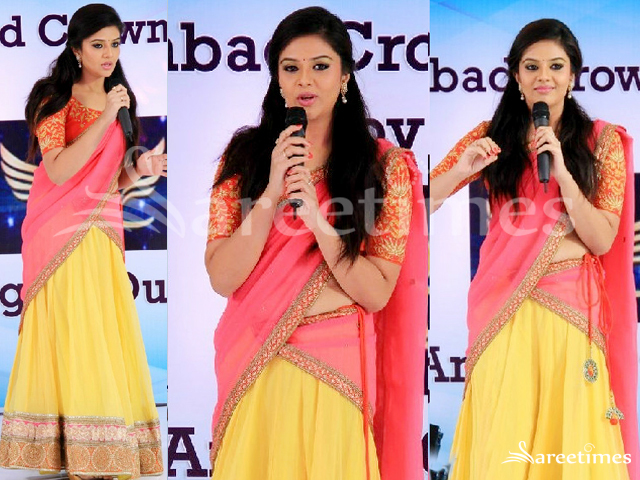 Srimukhi hosted the audio launch of “Hora Hori” wearing a yellow designer half saree by Ashwini Reddy that with gold and black borders, paired with a dual color short sleeves blouse. Angana Roy attended the audio launch of “Srimanthudu” in blue color half saree that featured light blue embellished lehenga and royal blue dupatta with pink and golden border, paired with pearl and zardosi work, short sleeves, round neck blouse. Bhavya Sri in half saree with black and peach combination,having peach border with golden embroidery, paired with embroidered peach sleeveless blouse. Sree Mukhi in a yellow and peach combination half saree with embellished border, paired with a golden embroidery red blouse. 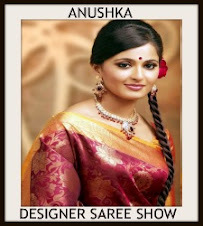 Avantika Mishra in plain peach color half saree with golden border, paired with contrast color short sleeve blouse with deep neck patterned blouse. Anchor Shyamala hosting "Andhra Pori" movie audio launch event in a peach and gold embellished half saree. 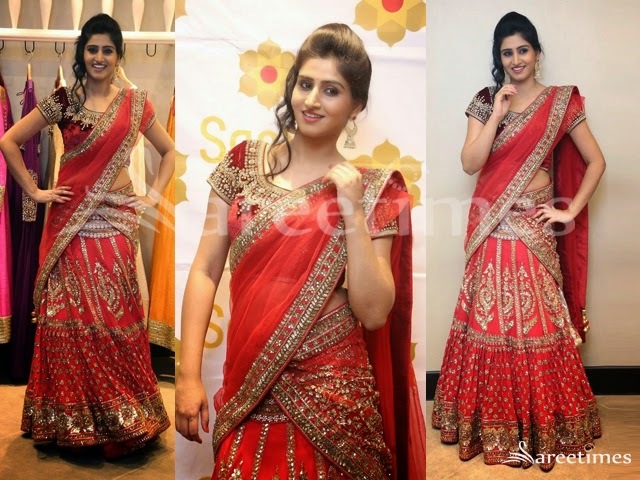 Shamili Sounderajan at a textile shop launch in a red bridal half saree with heavy work all over the lehenga paired up with red stone work velvet blouse by Sasya. Anchor Ansuya in a half saree with black and navy blue combination embellished lehenga and cream embroidered dupatta paired with black sleeveless sequins blouse. 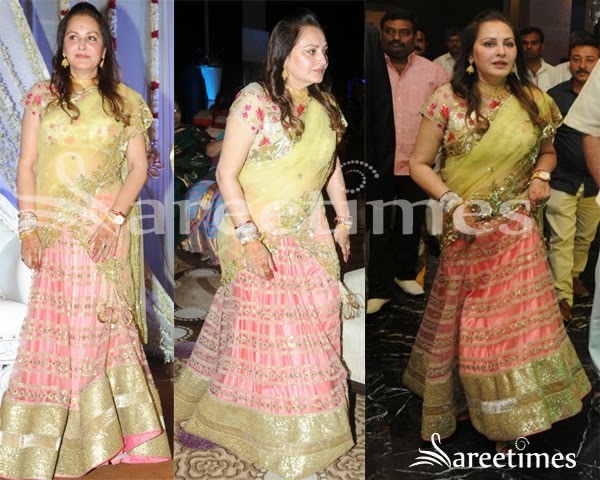 Jayapradha at her Nephew's Siddharth's engagement in a pink and yellow combination half saree featuring light pink embellished lehenga. Gold borde rpaired with light yellow net dupatta with gold embellishments and boat neck designer blouse . 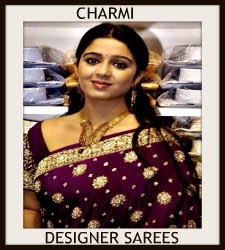 Tollywood actress Yamini Bhaskar sporting a fancy silk saree with zardosi embroidery work. 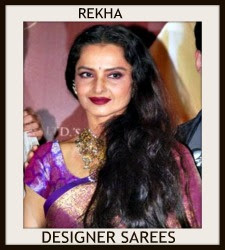 She sported a short silver colour blouse with a broad "U" shaped neck. 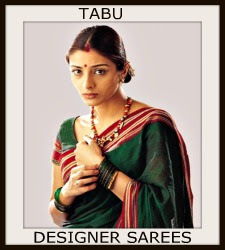 The green netted saree carried zardosi work in the border and solver colour polka dots at places to match the blouse. 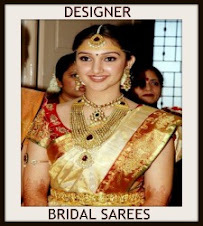 South Indian actress Catherine Theresa in white designer half saree,Embellished with self embroidered thread work on all over the Lehenga,Paired with sleeveless saree blouse with open neck pattern and net dupatta. South Indian actress Nandita in beautiful yellow and cream combination half saree. Gold small brasso work all over lehenga and zari border. It is a yellow netted dupatta with gold border. 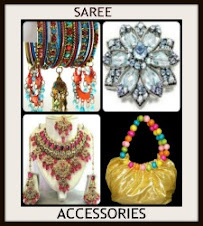 Paired with designer short sleeves silk saree blouse for back. 1.Sophie Chaudhary in beautiful pink designer embroidery georgette saree with mirror,sequins buttes and border work paired with designer embroidered sleeveless saree blouse. 2.Sophie Chaudhary in beautiful silver and red designer embroidery shimmer faux georgette saree with mirror and embroidered border work paired with designer embellished sleeveless saree blouse from designer Manish Malhotra. 3.Sophie Chaudhary in beautiful white and yellow designer dual color embroidery gorgeous saree with sequins buttes and studs work paired with designer spaghetti strap saree blouse for back from At Manav Gangwani’s Show, Delhi Couture Week 2011.It is a shimmer saree. 4.Sophie Chaudhary in beautiful pink and orange designer dual color embroidery half saree with embroidered and tricolor border work paired with designer sleeveless saree blouse for back at Bappa Lahiri-Taneesha Verma Sangeet. Model displaying off white lehenga and green dupatta by Bhargavi Kunam. The lehenga is highlighted with kalmkari peacock design and crystal work along with broad red border with stone work. The green georgette dupatta comes with red and yellow border along with matching lace. 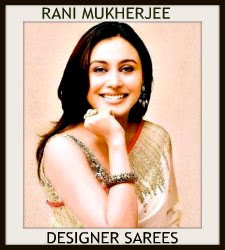 The dupatta is highlighted with kalamkari patchwork and small mirror work. 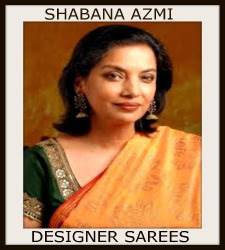 The “V” shaped neck pattern for the blouse is in contrasting color with dual line stone work along the neckline and sleeves in kalamkari design with fine piping. 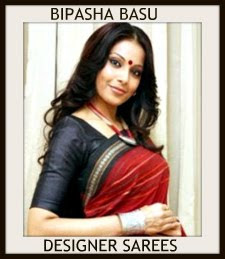 To buy this exclusive half saree contact @9989899881.